Thank you very much for for this. I have been trying to write about it but am too ill to do it so clearly. I am happy to find that someone else has written it all down. They have been using ME/CFS as a model for definitional creep for sometime. The jump is always from ‘medically unexplained physical symptoms’ to ‘pscyhological causation’ and/or then to ‘malingering’. Horrifying – I wake up everyday with a pit of fear in my stomach because of this stuff. Being a UK citizen has some disadvantages when it comes to considering the incredible mess that has been made of solving Chronic Fatigue Syndrome (CFS). Having the National Health Service (NHS) means that the importance and influence of medical/disability insurance is not always so readily appreciated. Though it may seem contradictory, I believe this may make the UK an attractive target for insurance companies should they wish to exert influence over CFS policies. This is because in countries like the USA, although insurance companies may already have established links to healthcare providers, those providers in turn, have knowledge and experience of the kind of pressures that vested interests could exert. Forewarned is forearmed, as they say. In the UK, however, doctors may see patients with insurance claims as a small minority of their medical practice. They may encounter pharmaceutical company reps on a daily basis, and be familiar with the strategies they employ. But they may be less prepared to notice, let alone look for, opinions that could be influenced by the vested interests of health insurance companies. This may be especially so when such influences reach them indirectly; i.e. via medical journals or the media. Similarly, patients who do not have private health insurance might find it difficult to see how companies that have nothing to do with them, might want to exert influence over their diagnosis and treatment. Very often the opinions about CFS that describe it as ‘psychosocial’ or ‘biopsychosocial’ (e.g. the ‘wessely school’); originate from or are repeated by people that have connections to the health insurance industry. Knowing and understanding the implications of these connections might give some people pause for thought. As Margaret Williams quoted from the Gibson Parliamentary Group Report of 2006: ‘“There have been numerous cases where advisors (on ME/CFS) have also had consultancy roles in medical insurance companies. Given the vested interest private medical insurance companies have in ensuring CFS/ME remains classified as a psychological illness, there is blatant conflict of interest here. The Group finds this to be an area for serious concern and recommends a full investigation by the appropriate standards body”. If the insurance industry had no connection or influence with anyone connected to the DWP, the MRC, the Dept of Health, NICE, the CMO; in fact if there was no health insurance industry at all – would things be better for people with CFS? If there were no health insurance industry, would CFS patients have less occasion to complain about abuse from medical personnel, benefits agencies and the media? If there were no health insurance industry, could the causes of CFS and authentic treatments have been discovered by now, saving untold suffering for many people for years on end? 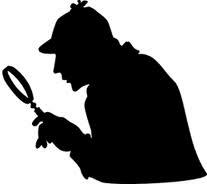 If there were no health insurance industry would it be ‘M.E.’ and a number of other rational diagnoses, with the derisory name ‘CFS’ never being concocted at all? A great piece of research. Thank you. Last year DWP published a survey that was misrepresented by most of the media and embedded in people’s minds the ‘fact’ that work as good for you. The survey? A set of leading questions, biased tick boxes – a travesty of a survey. It reported on the general public’s view of whether or not work was good for disabled people. And, assisted by the appalling questionnaire plus the preliminary spin across the media about benefit scroungers, the answer was an overwhelming yes. I pointed out to the BBC that this was just a summary of opinions from unqualified people, and I asked DWP why they funded it. No answer. I’m learning a lot from these comments. Angela, grateful for your input on BPS. I didn’t feel qualified to critique that approach other than to try and obtain a general impression about its application (which as you saw seemed to indicate a value in a clinical setting, with the proviso that there were accessible resources to address what could be seen as problems which complicate illness recovery). Now, perhaps its worth me looking into whether in itself it has any validity or is just another way of distracting from the physicality of illness (and its sources/causes). I *will* try and find time to read up on Professor Hooper’s work! The BBC refused citing that they were exempt from having to comply with that. As I note in the comments (on the FOI) it took them seven visits to my blog where I had posted the transcript to decide this. They completely ignored the second part of the request about whether they would re-investigate Unum. Hysteria is still listed in the Diagnostic and Sattistical Manual of the American Psychiatric Association (DSM). It is now called ‘Functional Neurological Disorder’. The new DSM is due out in May this year and there is an attempt to alighn it with the WHO International Classification of Diseases (ICD). One of the big impacts of the BPS model is that the psychologisation of illnesses with complex and unclear aetiology will lead to people gaining a diagnosis of one of several indistinct and unprooven categories in the DSM such as Functional Neurological Disorder or, more alarmingly, the very wide category of Complex Somatic Symptom Disorder. This will prevent people getting proper tretment and will, I believe, eventually errode biomedical research even further and lead to marginalised illnesses being re-coded in the ICD as purely psychological. This indeed is an an excellent article and a very good and mature debate in the tread – though I take issue with the poster who challenged ‘eveidence based medicine’. I know freinds who have sufferd at the hands of ATOS precisely because ATOS do not use a serious medically professional evidence based aproach. Instead its a humiliating tick box exercise designed to see if you can stack shelves. Hi Paul, the thing that is not clear is that evidence based medicine is also a tick box approach. They do not use the evidence, just the evidence that is on their approved checklist. Any and all contrary evidence that is not on the checklist is ignored and they recommend typically that none of it is tested for. This is cookbook medicine. As a counter-argument they claim its only a guide. However the number of doctors who have been in big trouble because they didn’t follow this “guide” is growing. Very large numbers of doctors and scientists are starting to say the same thing. How large? I don’t know, it could still be a small minority because my sample could be biased by what I am looking for. I will be writing several blogs on the evidence and published literature against EBM, BPS and CBT/GET at some point in the coming year or two. Evidence based medicine has been called Zombie Science for a reason. Its not me who invented that. Its leading medical academics. This is an excellent article, I’d have to read it a few times more. Wish someone could make such a good study on how to close the tax loopholes for the multi millionaires working here and stashing their tax free British earnings in offshore accounts so there would be no attacks on welfare in the first place. Really good piece. Well done Gill. Sam, I hope you won’t mind my clarifying and expanding a little on your comments. The original publication date had been May 2012 but DSM-5 is currently scheduled for publication in May 2013 – so over a year to go before the final version is released. There have been two public review and comment exercises on draft proposals for changes to DSM-IV categories and criteria. A third draft had been timelined for release for January-February, this year, but this has been delayed because some of the DSM-5 field trials are running behind schedule and won’t complete until March. This third release of draft proposals is now expected to be posted on the APA’s DSM-5 Development website for public review and comment, “no later than May 2012,” according to DSM-5 Task Force Vice-chair, Darrel Regier, MD. So there will be another opportunity to submit comment this Spring (though this is seen by some as little more than a public relations exercise, given the late stage in the criteria and text drafting process). You’ve said that the DSM-IV category “Hysteria” is now called “Functional Neurological Disorder”. This is indeed a proposed category that needs scrutiny  . The proposed new name, “Functional Neurological Disorder” (which is still under discussion) for what is currently known as “Conversion disorder” [#300.11] in DSM-IV-TR, is under discussion for potential placement under “Dissociative Disorders” (under which class it is located within Chapter V of ICD-10), as opposed to retention under the proposed section “Somatic Symptom Disorders”  . You’ve said “…there is an attempt to align it with the WHO International Classification of Diseases (ICD)”. 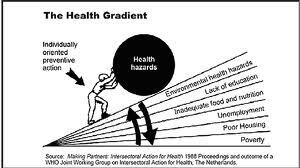 WHO acknowledges that there may be areas where congruency may not be achievable between the two systems. So this is a joint commitment. 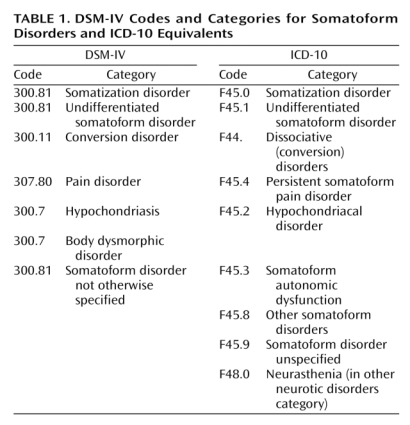 This (simplified) Table “Current DSM-IV Codes and Categories for Somatoform Disorders and ICD-10 Equivalents” sets out how the two classification systems (DSM-IV and ICD-10) currently correspond for their respective “Somatoform Disorders” sections. The framework the DSM-5 “Somatic Symptom Disorders” Work Group is currently proposing, if approved, would effect a major restructuring of the “Somatoform Disorders” section. WHO has strict taxonomic rules for ICD codings and classifications. It is difficult to see how congruency between the corresponding sections of the two classification systems might be achieved under current proposals for this section of DSM-5 and how ICD Revision might accommodate these radical proposals to combine a number of existing categories under a new rubric by creating a new category, “CSSD”, within ICD’s more rigid taxonomic framework. It isn’t known whether ICD Revision Steering Group and the ICD-11 Topic Advisory Group for Mental and behavioural disorders consider these proposed categories and criteria to be valid constructs but there is no evidence of current intention by ICD-11 Revision to mirror the radical reorganization of the “Somatoform Disorders” that is being proposed and field tested by the DSM-5 SSD Work Group, within the ICD-11’s own Alpha Draft Revision Platform. The “Somatic Symptom Disorders” Work Group’s “Rationale/Validation” document fails to address the issue of whether harmonization between these sections of the two classification systems might be viable under current SSD Work Group proposals. Nor does it consider the implications for incongruency for the mapping across of codes between DSM-5 and ICD-10-CM* equivalents on the operational usefulness of this section of the forthcoming DSM-5. Since October 1, 2011, ICD-10-CM has been subject to a partial code freeze in preparation for implementation on October 1, 2013. Between October 1, 2011 and October 1, 2014 revisions to ICD-10-CM/PCS will be for new diseases/new technology procedures, and any minor revisions to correct reported errors in these classifications – so little opportunity for “harmonization” there. You are right to be concerned about the implications for several patient groups for the highly subjective criteria being proposed for “Complex Somatic Symptom Disorder (CSSD)” . While the media has focused on the implications for introducing new disorder categories into the DSM and lowering diagnostic thresholds for existing criteria, there has been little scrutiny of the proposals of the “Somatic Symptom Disorders” Work Group. Under the guise of “eliminating stigma” and eradicating “terminology [that] enforces a dualism between psychiatric and medical conditions” by “de-emphasizing the concept of ‘medically unexplained'”, the American Psychiatric Association appears hell bent on colonising the entire medical field by licensing the potential application of a “bolt-on” mental health diagnosis to all medical diseases and disorders. There is much I find worrying in “Models of Sickness and Disability” (‘MoSaD’ hereafter) by Waddell G and Aylward M, referred to by Lord Freud as “a rather interesting piece of analysis”, which will underpin the PIP assessment in the form of the so-called biopsychosocial assessment, behind which Lord Freud, mistakenly in my view, claimed “there is a coherent theory”. Sorry this is long, but like you I wanted to make this argument clear. I must make “illness” my excuse for lack of editing! Conscious, no doubt, of the social unacceptability of the suggestion that all sick and disabled people are malingerers, there is then the attempt to construct a ‘softer’ variant of the illness deviant via psychology. A few years ago I would have agreed with you, now I don’t. I separate this into two slightly different processes, or perhaps stages in one process. Substitute (or add) “scientific” (not that this is real science, as you point out) and you have a starting point. Observe that a growing cost to health care was threatening the budgeting of both state-run and for-profit healthcare and you have a good reason for those holding the purse strings to want a way of reducing the numbers of the “sick”. Stage one is to create a Galbraithian rationale – an intellectual construct which will allow those who can see through crude assertions, even when they would rather not do so, to say that [a] many people claiming to be sick are probably (at best) kidding themselves and then [b] it would be better for them as well as everyone else if they went back to work. You define “sick” very tightly and “work” very loosely as meaning “anything which earns money” and you have a good rationale for saying that (almost) everyone should work. (As an aside, would work as a prostitute count?) Now you can sell this to the politically active – MPs, journalists and party activists. In the UK this was very successfully “trialled” on the ME/CFS community, who were natural targets. Wessely was made “gatekeeper” for all “serious” investigation, and he established through the authority of his academic position and the influence of his friends and his money that the BPS model could be used to “rubbish” all those who thought they had something called “ME”. I believe that the Wessely approach here, with its considerable opportunities for saving money, gave encouragement to a wider application of this method of belittlement. Now for stage two. With a background the “general agreement” (established via stage one) of “Science”, a much more general social agreement can be created. Fortunately along came the financial crises of 2008 and onwards and someone remembered the old saying, “Never let a crisis go to waste.” Now you have a public mood of pessimism and great financial insecurity, and a wish both for scapegoats and wastage. So you start a mood in the press saying that “recent statistics show”, and “scientists have found” … followed by anything you want which people will want to believe. The DWP have been feeding misleading, and even downright false, statistics to everyone, but especially the popular press. Then headlines such as “Only 1 in 17 claimants are genuine!” keep cropping up, with no more backing than “figures show” and “it has been found,” to back them up. You’re right, Vicki, on those points. In some cases the government haven’t even tried to hide the fact that saving money is at the bottom of all this, with Aylward having frequently (depending on who the audience is) used the ‘need’ to save money as part of the foundation of his argument that the system must be changed. I find that rather undermines the idea that there is evidence that some people should be taken off support. Which one is it, money or people’s capabilities? Whenever someone cites more than one reason to underpin their argument it suggests they are trying too hard to convince. I agree, too, that they’ve exploited a situation of ‘crisis’ in the way you describe. When the masses of people face uncertainty in their own personal circumstances they are less likely to extend any sympathy towards who are in a worse predicament. And they are easier to manipulate through ideas which demonise others (scapegoating). The ground was fertile, as you say. I do think, that the BPS lobby, though, have been careful to stand behind the line where they could be accused of fostering negative attitudes towards the sick and disabled. Rather than be explicit, and risk stirring up outrage, and thus opposition, the suggestions are couched in the language of care and helping, the logic of which it is difficult to contradict. 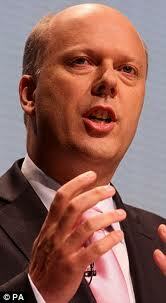 So, its far worse really, than the wholesale public abandonment of ideas of social acceptability. Its the manipulation of public fears towards an end that need not have been. Because I do believe that, left to their own moral devices most people do have sympathy for those who are ill and disabled, as they are likely to be not far from one at any given time, whether in family or neighbourhood. Excellent piece of (hard) work, and thank you. He suggests, quite seriously : “The nature of these questions implies where some of the answers may lie”. Here is one of the the advantages to the so-called BPS model: “In particular, it will mean that we shall have psychiatric expertise much more readily available to all CMS’s. This will enable us to identify much more readily those cases where depression or other psychiatric illness lies behind or complicates the medical presentation of incapacity”. And here is another advantage: “What keeps people off sick often has little or no relation to what they went off with in the first place … One of the benefits of our new income protection underwriting philosophy is the reduction in the amount of medical evidence we require. In most cases, we have found the evidence adds little to our knowledge of the risk. It is far more useful to gather the information we need from the life to be insured who is, after all, most knowledgeable about those biopsychosocial risk factors that interest us… We believe our move away from diagnosis-based underwriting to a decision-making process linked far more closely to applicant behaviour and attitude is a significant first step towards being able to predict the resilience of our insured population..”(Group Income Protection EVOLVING the way we look at claims 2005). And a little detail from: “Enhancing our claims management services 2007 … we must also consider the powerful role that the psychological and social factors can play in both a person’s initial and then potentially prolonged incapacity”. It must be quite fun being well-paid to pen just-so stories about about why someone got ill, or doesn’t recover, especially in the knowledge that your story can downplay and be weighted against legitimate medical evidence from dedicated medical practitioners, but it must equally be a disaster if you’re on the receiving end, when you can so easily be blamed for failing to fully co-operate, getting ill in the first place, failing then to think the right BPS recovery thoughts and carry out other BPS associated twaddell, and possibly be severely penalised if you dare object to having your intelligence thusly insulted in the first place. “Although the social-model approach is superficially attractive-and I emphasise that we support it in many ways-we have decided that it is not the right way to go with this assessment. We have not gone for the medical model; we have gone for the biopsychosocial model” quoth Lord Freud after lauding the Aylward and Waddell Model on 17 Jan 2012 (in Hansard at Column 498). 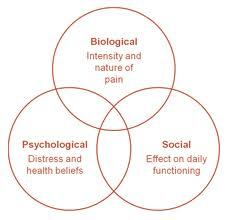 I wonder why those who claim to promote a biopsychosocial model heavily emphasise the psychological aspect and neglect both the biological and social aspects? There are lots of great studies written on the social aspects and problems with the ‘work at all costs’ model. Remember what disability actually is. Disability is not merely handicap, it is the inability to regularly do a particular task. There is a reason why those who are short sighted aren’t considered ‘disabled’ – they have access to affordable aids that mean their handicap isn’t a disability. Why is Hawking able to work? Because his mind is not disabled and the large amount of money invested in aids (including full time assistants). His case is clearly the very rare exception and not the norm of those with his disease. I think the general public only sees what they want to see – they don’t wish to embrace disability because it means that there are those out there who are truly being neglected by society. Sorry to come into this discussion rather late, but on reading Patrick’s comments, I simply must respond. The focus on the idea that there may be some people who malinger – a concept that’s most often in the eye of the beholder – completely misses a far more important balancing fact. The amount of money spent on people who can’t (or even won’t) work is a trifle compared to the single gift of allowing Vodaphone off the hook for £6 billion in taxes owed! The idea that it’s necessary to come up with an excuse to encourage or pressure people to work says it all. If work truly is beneficial, then people will want to do it for its own sake. But the reality is that most work is slave labor, completely unfulfilling, and hard on the body and mind. The suggestion that it’s good for us is absurd on the surface. Thanks, doug. I’ve retrieved those docs from your link. The parts you quote at the beginning of your comment must be what the BBC were referring to in 2007 when they said they had documents which showed Unum claimed to be ‘driving government policy’. Pity the beeb chose to play the ‘exemption’ card when asked to disclose these recently. But sadly, that’s not the only evidence of their bias they’ve shown of late, the examples keep mounting up. I hope other people visiting here will download them too. This approach began in late 2011 and we will monitor take up during 2012 before making a decision on the requirement for recording assessments, taking into account factors such as value for money and the value it adds to the WCA process. As part of this process we are also reviewing Atos capacity to provide recordings for those claimants who currently request one”. My worry is that the way the government and media organisations have been pushing the idea that disabled people are to blame in some way for their life circumstances is going to discourage employers from giving disabled people jobs. sites? I have a blog based upon on the same ideas you discuss and would love to have you share some stories/information. A most excellent well-reasoned article, Gill. Although with all respect a lot to handle in one reading for a layman like myself, relatively new to the subject, so I would echo the call for breaking it up with some sub-headings. It deserves to have far wider coverage; have you considered making it into a PDF for downloading and distributing? I have put a link to it on our own little community website, but it deserves far far wider attention. I just popped back because I noticed that there had been the occasional ‘clicking’ over here from the link on my blog. I’m the type of person who feels obliged to acknowledge *every* comment that people make, though I know that’s unrealistic of me :), since everything moves so fast on the internet it’s quite impossible to keep up. That said: Thanks again to everyone who has commented and added material pertinent to this situation. As we are witnessing, the situation is becoming increasingly desperate for so many people, the most vulnerable in our society. It’s been heartening to see it gain wider public exposure in recent months, with even the mainstream media, particularly TV, having to take notice. It’s to their shame that they also feel the need to ‘balance’ it not with any reasoned impartial arguments to the contrary, but stigmatising, ‘scrounger’ rhetoric. Perhaps that’s because there *are* no reasoned arguments! Ullas: It’s funny you should mention epublishing, as I had been thinking about that myself, wondering if it would be possible (with the respective permissions) to collate related articles and such from across the net into one useful reference volume on the matter. I can’t access your email address on here btw, but if you’d like to do an email ‘follow’ on my blog I’ll be able to see it. (NOT touting for followers, I promise!) Also the link from your name on here seems to be broken? I’ve just received a copy of what promises to become a very important book, particularly for the ME community, but also for anyone who has suffered as a result of the promotion of this ‘biopsychosocial’ approach among not only the medical community, but in its infiltration also of the administration of health-related benefits (as I describe in this piece). Very good article and I can tell by the tone of your piece tha tyopu were as amazed at Aylward’s comments to BT as I was. Please see: Atos Healthcare or Disability Denial Factories and Welfare Reform – Redress for the Disabled – both published on BT and a few other websites. George Potter will be distributing one of my other articles at the Lib Dem conference this afternoon (Sun), so let’s hope some of those ill informed politicians become better informed. I would very much value the opportunity to have contact but unable to access Facebook or Twitter so please email. Just found a link to this, and I have to say it’s an excellent dissection of the perversion of the BPS by government, insurers and their funded scientific hacks. I’ve been looking for something similar to use in arguing against the BPS, and thankfully you’ve saved me from the fear that I might have to write it myself (not that I could have done remotely as good a job). One of the earlier comments mentions a piece of DWP ‘research’ into attitudes to work being good for you – I actually wrote an article dissecting that paper for Where’s the Benefit, which can be found here: http://wheresthebenefit.blogspot.co.uk/2011/08/conclude-then-survey-dwp-at-their.html , and it’s difficult to express just how bad it is, it would have embarrassed a 1st year sociology student…. I tried to read this, the subject is of great interest to me. Looks well worth reading. BUT your first sentence contains over 50 words and 4 subjunctive clauses. I struggled past ‘norms’ and ‘paradigm’ and ‘discourse’, all in the second sentence, and their cumulative effect halted me in my tracks. Is your aim to restrict the possible readership of this to people with sociology degrees?